What diamonds do you sell? We sell GIA certified diamonds, as well as some loose non-certified stones. We use the GIA grading scale to grade our loose diamonds. 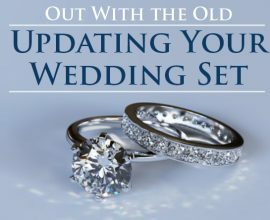 If you purchase a diamond at Andres Fine Jewelers that is not certified, you may elect to pay to have it GIA certified. If it comes back with a lower grade than our grading, we will PAY YOU the difference. That’s the Andre’s Guarantee! 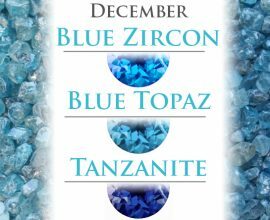 Are your diamonds responsibly sourced? We take the most ethical way possible, by asking our suppliers to use their resources to take particular care, as much as possible, for the provenance of diamonds, to ensure us of their responsible business practices. Unfortunately, until a positive removal point detection system is invented, there is no way anyone can 100% guarantee the exact journey of these diamonds starting from the point where they were extracted from their natural world. Do you sell any gold filled jewelry? Andres Fine Jewelers only sells real gold jewelry. We do also carry sterling silver jewelry with non-tarnish coating and gold overlay. How long will my custom design take? Typically a custom piece will take anywhere from 3 – 8 weeks from start to finish, depending on how complex the design is. In certain situations, the process can be expedited to 1 – 3 weeks. Why is my white gold ring fading to yellow over time? Good question. When gold is mined it comes out of the ground in a yellowish-orange color. It gets refined to 24 karat gold, which is the purest form of gold. The color of 24Kt gold is still at that point a yellowish-orange. It is not possible to change that color to white, but it can be diluted to a pale yellow. 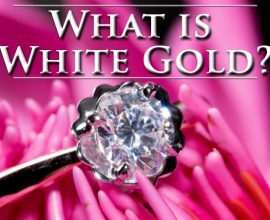 White gold is actually not white, it is a very pale yellow color specially alloyed to be cast in white gold. What makes white gold that lustrous white color when you get your ring is an element called rhodium. Rhodium is electronically plated to the pale yellow metal and turns that pale yellow into a bright white color. The rhodium plating wears off after time and can be reapplied when you desire, for a nominal fee. Do you do in-house repairs? All of our jewelry repairs are done in-house, by our expert jewelers. In fact, most of the time you bring your jewelry to be repaired one of our goldsmiths will be waiting on you. Most repairs take 2 – 5 business days, depending on the difficulty of the repair. What is the difference between Carat VS Karat? Carat refers to the weight of a diamond or the total weight of diamonds in a piece of jewelry. Karat refers to the purity/percentage of gold, in each piece. For example, a 14k or 14kt gold wedding band refers to the gold being 14 Karat. What do all the different karats like 10k, 14k and 18k mean? The different karats refer to what percentage of gold is used in each piece of jewelry. The higher the karat the more gold is used. 10 karat gold has 41.7% gold content. 14 karat gold has 58.3% gold content. 18 karat gold has 75% gold content. Andres Fine Jewelers uses a 14 karat gold standard. We are able to make any gold items in 10 karat and 18 karat as well. Higher karatages, such as 21Kt, 22Kt and 24Kt, are available by request for special orders. What if I want to cancel a custom order? Because of the variable nature of custom work, cancelations and refunds are dependent on how far along we are in the process. If we have not started CAD work, a refund will be issued (as long as no specialty components have been ordered for your piece). If CAD work has been started (but not finished), you may still be eligible for a partial refund. You will be charged a minimum of $250 for the design work that has been done to that point. If CAD work has been completed, but the design has not yet been fabricated, the minimum charge will be $250, but will be increased depending on the intricacy of the design. Custom work that has started the fabrication process is unfortunately ineligible for refunds. However, we are happy to revise any existing custom order in progress at no charge (unless stones are being added or some other modification is being made that increases the cost of the materials), as long as the changes do not completely modify the original agreed-upon design. Design modifications that result in a complete rework may be subject to an additional design fee. We accept: Visa, MasterCard, Discover and American express. Yes! We offer up to one year interest free financing, to those who qualify. We offer a 6 month layaway program.